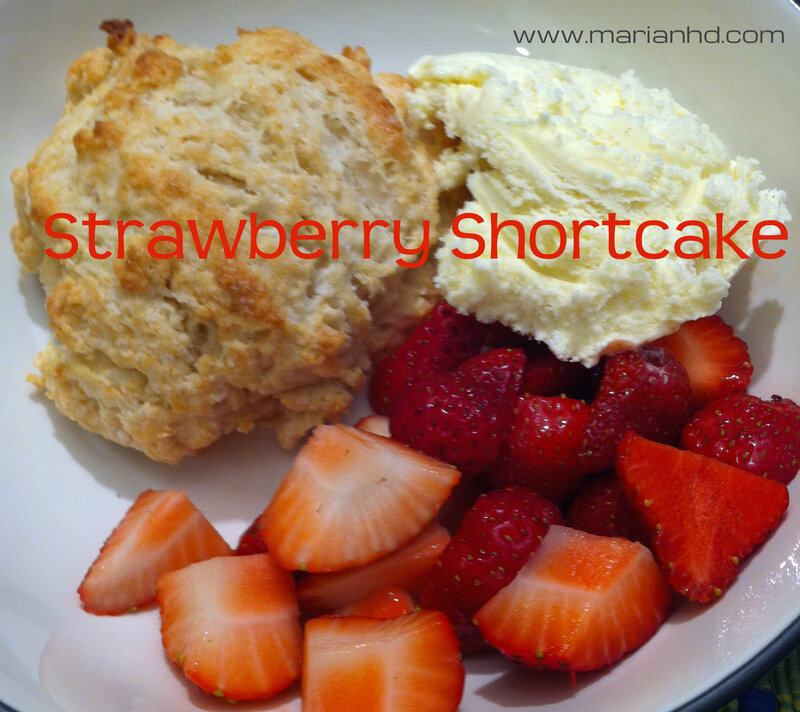 With the arrival of fresh strawberries at the farmers’ market, I knew I had to make strawberry shortcake. Let’s face it, strawberry pie sure is delicious, but that’s a little more work. And baking a strawberry pie changes the strawberries some. I want to celebrate strawberries! I want them to shine! No hiding fresh strawberries in a pie with gelatin and lots of sugar. And besides, shortcake is kinda like plain scones, and we know I love scones. (And so does Baby D). So when the craving need to make shortcake came along, I did what every good cook does, I Googled for a recipe. I don’t keep shortening in my pantry, so I dug around looking for one that didn’t require shortening. That proved difficult. So I adapted Alton Brown’s recipe to eliminate the shortening and use coconut oil instead. I guessed that given the similar texture, coconut oil should work in place of shortening, and–spoiler alert–I was right! 1. Preheat the oven to 450 degrees. 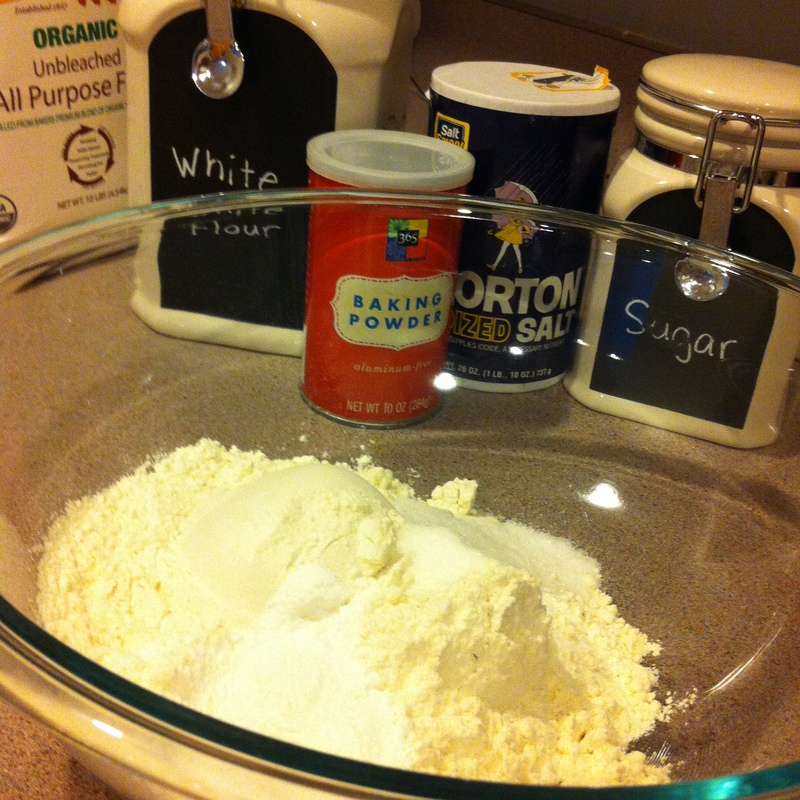 Mix all of the dry ingredients together in a large bowl. 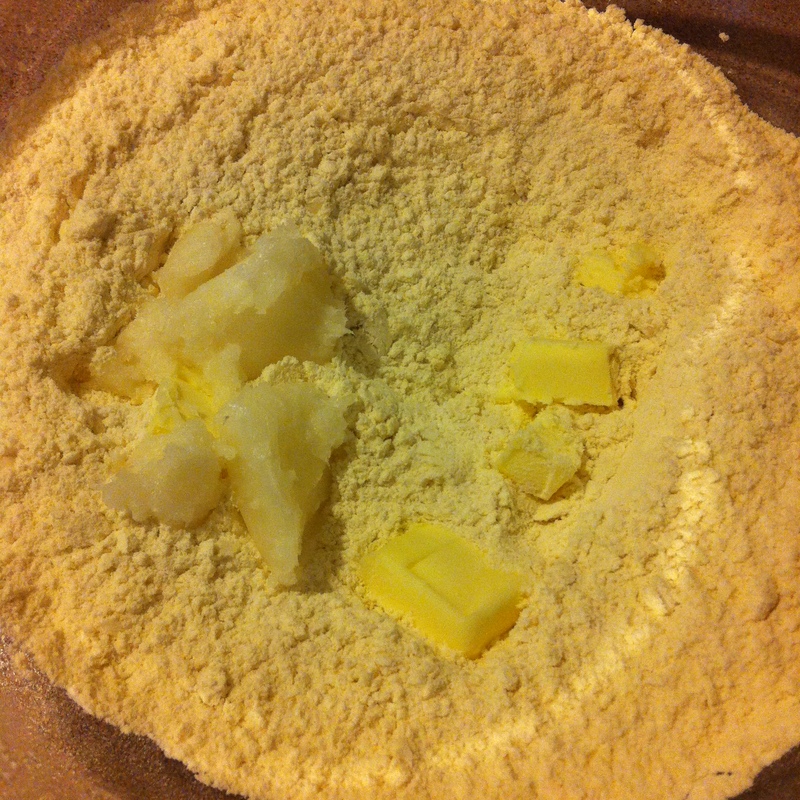 Add the cold butter and coconut oil and but them into the dry ingredients with a pastry mixer or two knives. We want the butter/coconut oil to end up smaller than pebbles. 2. Mix in the yogurt/almond milk until a soft and somewhat sticky dough ball comes together. Depending on the type of yogurt you use (regular or Greek) it may take more or less almond milk to get the correct consistency. 3. 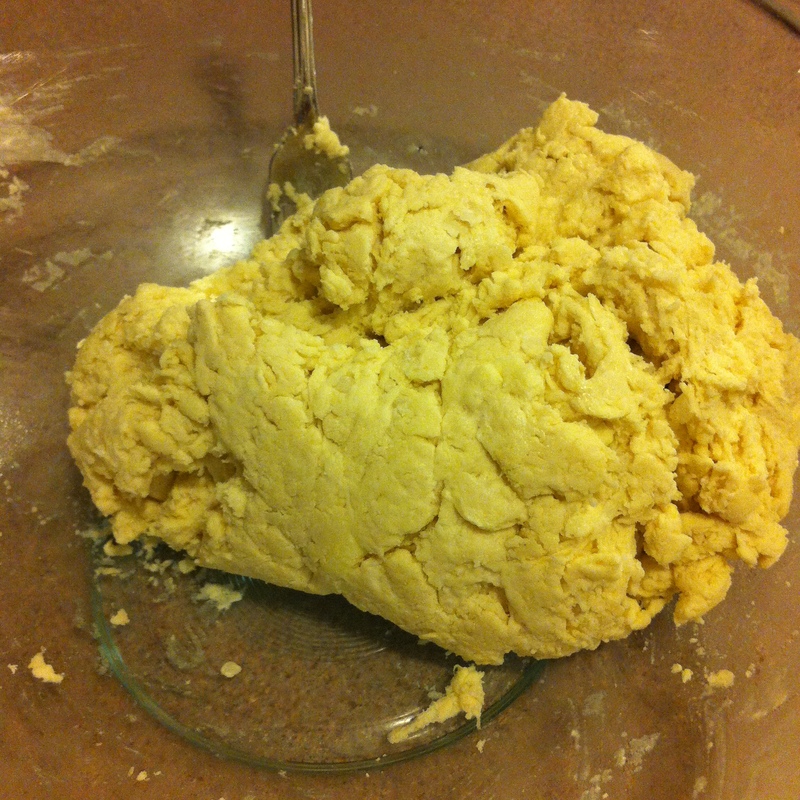 Drop large spoonfuls of dough onto an ungreased baking sheet. Brush the shortcakes with melted butter and sprinkle with extra sugar. Bake for 15 minutes or until the tops have just turned golden brown. Serve with fresh berries and vanilla ice cream or whipped cream. Previous Post Previous post: Coming soon: GMO Labeling in the US?